Spend a night among the gods in this beautiful Olympic goddess costume for plus size. 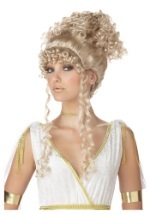 The plus size Roman goddess costume features an empire waist dress, made from cream colored polyester. A white cloth strap with ripple accents fits around the shoulder, while a clear band slips around your other shoulder. The bust features an elastic band that runs around the dress for a comfortable fit, while a lining in the bust adds additional support. Greek-style gold leaf patterns decorate the black band that runs around the empire waist, while a rippled cloth accent drapes along the side of the dress. A matching black band with gold leaf patterns accents the bottom of the skirt. 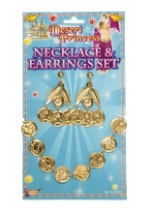 A gold colored medallion, which looks like real metal, pins to the chest and a black hairband with gold accents ties into your hair with ribbon. 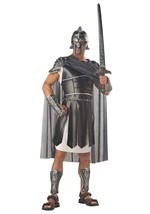 Pair up with any of our men's god costumes for a powerful duo!